Melanie Finn is the author of AWAY FROM YOU and THE GLOAMING. Both are set in East Africa, where she was raised and has lived and worked as a writer, journalist and filmmaker. Now, living on a mountain in Vermont’s Northeast Kingdom with her husband, a wildlife filmmaker, and their two children, she continues to run a small healthcare project in northern Tanzania. She founded the Natron Healthcare Project to meet the needs of desperate women and children in two remote Masai villages. The stories she heard from these women and her struggles to bring them meaningful access to healthcare echo through The Gloaming. Leni Zumas is the author of the novel RED CLOCKS, the story collection FAREWELL NAVIGATOR, and the novel THE LISTENERS, which was a finalist for the Oregon Book Award. 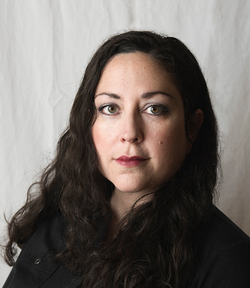 Her work has appeared or is forthcoming in The Collagist, Columbia: A Journal of Literature & Art, The Elephants, GOOD, jubilat, New Orleans Review, Open City, Quarterly West, Salt Hill, Tin House, Two Serious Ladies, & elsewhere. She has received grants and fellowships from the Lower Manhattan Cultural Council, the Barbara Deming Memorial Fund, the Regional Arts & Culture Council, and the New York Foundation for the Arts. Leni is on the MFA faculty at Portland State University.